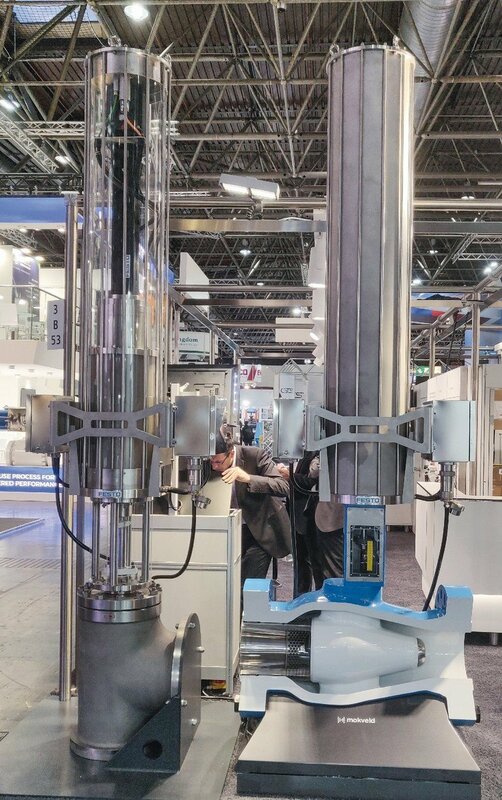 An electric servo actuator for anti-surge control valves (ASCV) developed by Festo in cooperation with Shell Global Solutions (SGSI) offers clear benefits compared to traditional pneumatic solutions. The actuator integrates a mechanical fail-safe function, has a modular design and is easy to install and maintain. A prototype was presented at Valve World 2018 in Dusseldorf. Anti-surge control valves (ASCV) are utilised mainly – though not only – in the O&G industry to protect compressors. 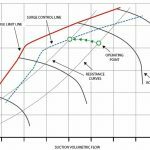 According to Shell, the control requirements for ASCVs are more complex than for any other area of process valve automation in the O&G industry. The ASCV is located in the compressor bypass and closed under optimal operating conditions, when the full compressor power is used to supply a gas distribution network, for example. If a failure occurs in the network, the ASCV must open the bypass at the compressor as fast as possible to avoid damage due to a change in the flow direction. In an efficient plant the ASCV is closed for more than 80 % of the entire operating time. During the remaining period, precise control of the plant is essential to ensure that the compressor works at the ideal operating points and minimise losses. The key requirements are therefore firstly precise control of the ASCV and secondly rapid opening of the valve in case of a disturbance. 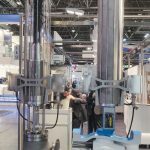 Willem van Rijs, Senior Automation Engineer SME Automated Valves at SGSI, came up with the idea for this innovative application for electric actuators during a visit to a robotics and mechatronics fair. SGSI – always on the lookout for novel technologies that simultaneously reduce plant complexity and save lifecycle costs – launched the project with Festo, bringing it to its present level of maturity. The use of electric actuators to automate ASCVs is a change that has also taken place in other areas of automation. Pneumatic actuators have clear advantages in many applications. If the requirements are complex, pneumatic actuation has limitations, for instance if precise control must be reconciled with speed. 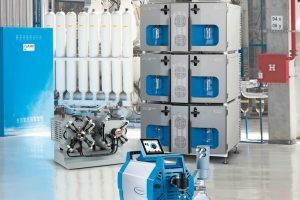 Driven by a desire to satisfy all possible requirements, Festo extended its product portfolio for factory automation from pneumatic components and solutions to also include electric automation. The requirements of the O&G industry must likewise be met by all new products, namely operational reliability and of course fail-safe behaviour, in other words if all auxiliary power breaks down, the valve must move to a predefined position if it is relevant for system safety. The prototype is essentially based on standard components with all the necessary certifications. The fail-safe component integrated into the prototype is currently a mechanical system that is traditionally based on normally biased springs, which relax in the event of a malfunction and open the valve. The spring is stretched once initially and then mechanically blocked, so that continuous consumption of electrical energy is prevented during normal operation. One major advantage of electric actuators is the ability to operate systems closer to the design limits. 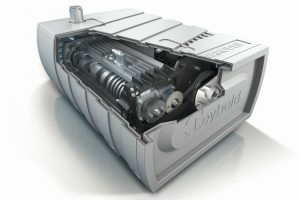 Measurements have shown that electric actuators open an ASCV much faster in case of failure compared to pneumatic solutions. 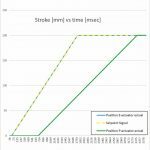 As a result of this, systems can be operated closer to the surge limit and operating states that would normally cause the ASCV to open in a pneumatic application are no longer a problem. The avoidance of disturbance-related downtime results in increased productivity and greater economic efficiency. 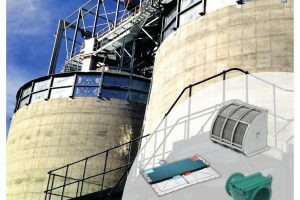 The control speed and accuracy are also significantly higher with electric actuators as opposed to pneumatic, enabling near-optimal plant operation. Another advantage of electric drive technology over pneumatic concerns the simplified diagnostics. 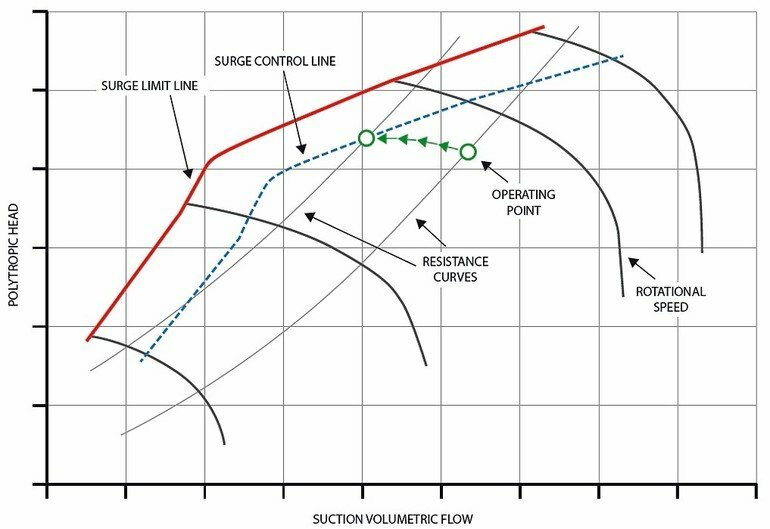 Changing conditions in the system, such as increased friction in specific positions over the entire opening path of the valve, are detected in addition to the usual operating parameters of individual components. This data can be transmitted using standard protocols such as HART and transferred to a higher-level asset management system, where it forms the basis for condition monitoring and predictive maintenance concepts. The elimination of unplanned downtime due to failures and the proactive maintenance of anomalous components during planned shutdowns extend the life of the plant and result in higher productivity. Each compressor generally has a separate controller, which is independent of the higher-level DCS, to enable fast and direct control in the field and rule out signal delays via DCS bus structures. The integration of the above-mentioned advanced diagnostic capabilities and parameters linked to the plant operating status in dedicated compressor controls can provide even more benefits. The goal here is to detect an impending surge even earlier than is possible today and allow operation even closer to the design limits. In the future, AI functionalities will further support this objective. At present, though, these are still in the early stages. The fail-safe function, which is currently mechanical, could also be implemented with the help of electrical storage technologies, meaning that the complete unit would have to be evaluated according to SIL requirements. In the search for ways to reduce plant complexity and hence operating costs, this is where the future lies.